I appreciate that you included my question in your article. Your advice is very useful and easy to incorporate into my philosophy. Since then Iʼve also talked to some adults who were cut from their teams whether it be high school or lower. It always impacted them and they carry that memory, so itʼs powerful moment. Thank you Steven for your commitment to these kids. And, yes try-outs can leave a deep and long lasting mark on a lot of people. Thatʼs why try-outs and cutting kids need to be done within the right format. 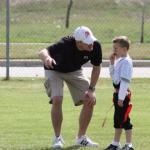 Coaches that donʼt know how to run a tryout and what to look for risk the danger of hurting some kids and causing many to quit. Try-outs and cutting kids is necessary in so many cases, and it is for that reason that coaches being educated on how to run these tryouts and what to look for are crucial. Again, thank you for your efforts and willingness to learn. Your influence to many kids in the future is exciting. I enjoy reading your articles and now have a question for you. My daughter is a junior and is trying out for her high school basketball team. She played on the J.V. team last year and did very well. She was one of the regular starters and had a lot of fun last season. My fear is that if she does make the varsity team, that she will sit the bench most of the time. So, should we have her play J.V. again this year and play a lot or sit the bench on the varsity team? M.R. These are always tough to answer because every situation and every team has a unique situation. But, to start off let me first say that I am not a fan of kids moving up to the next level to sit the bench. Remember, that most kids would rather play on a losing team than sit on a winning team. For most kids, their reason for playing high school sports is to have fun, be with friends, and be a part of a school team. 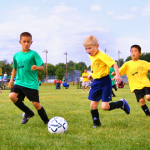 For most kids the hopes for a college scholarship (now at this age) has become less and they do realize that playing the last few years is all about fun and being with friends. So, having said that, it is important for your daughter to decide what is more important. Are all of her friends moving up? Since her playing days are potentially coming to an end, is playing lots of minutes more important? Will she feel like she is a part of the team if she sits and doesnʼt contribute in the outcomes of the games? I recommend that she set up a meeting with the coach, asking questions and gettin ghis input on this descision. The coach may have some insight into the situation, and hopefully feel honored that your daughter came to him and was up front about her uncertainty. Be sure that your daughter doesnʼt put the coach in a pressure situation that makes him feel uncomfortable about promising playing time. He will respect your situation if you honor his position and his difficult job. My vote is that all the odds need to be in her favor for her to move up to varsity. Again, for most kids, playing is more important than sitting.